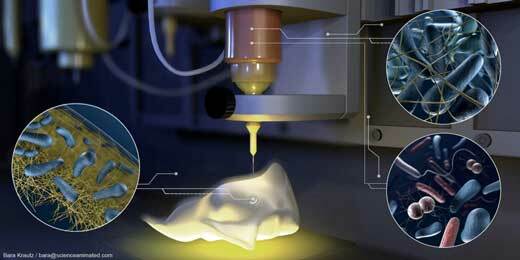 (Nanowerk News) There will soon be nothing that cannot be produced with 3D printing. However, the materials used for this process are still "dead matter" such as plastics or metals. The scientists have named their new printing material "Flink", which stands for "functional living ink", and recently presented the technique in the journal Science Advances ("3D Printing of Bacteria into Functional Complex Materials").